You have 2123 characters. Don’t forget to add important and relevant keywords in your description to improve your iTunes app page and optimize your SEO. Your app's last version was released on October 05, 2017. It is important to regularly update your app. Best practices recommend to update your app every 4 to 6 weeks. This means fixing reported bugs, improving existing features, launching new features etc. Keep an eye on users' feedback. The next great features may already be asked by many users. 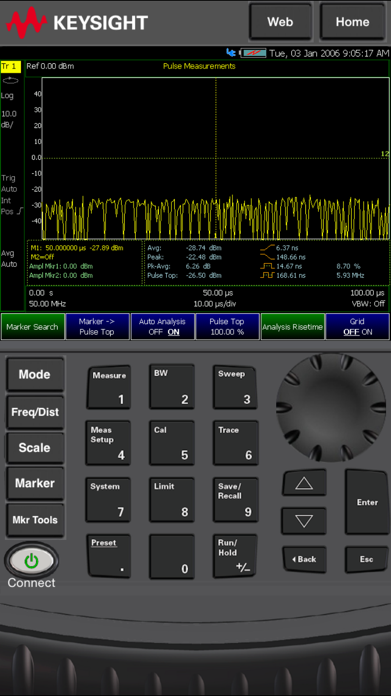 For Use with Keysight Technologies FieldFox handheld analyzers. Provides remote viewing capability for FieldFox instruments, or full remote control if the FieldFox is outfitted with instrument remote connectivity option 030. Contact Keysight Technologies for details on option 030. 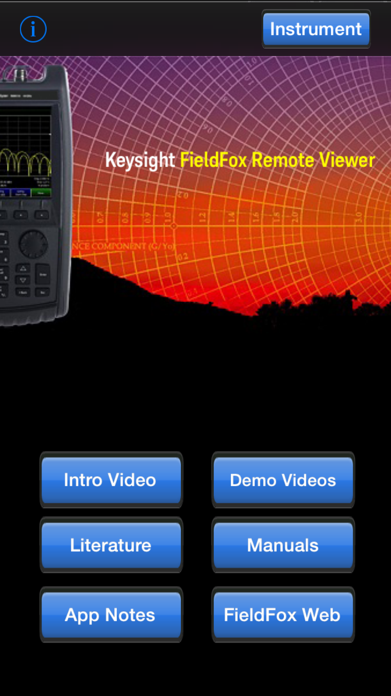 The FieldFox Remote Viewer application is used to remotely monitor or remotely control a FieldFox instrument. Connect FieldFox to wired LAN and power, then connect your IOS device to WIFI or cellular to remotely monitor or control the instrument. Once connected, the instrument display is mirrored to the IOS device. 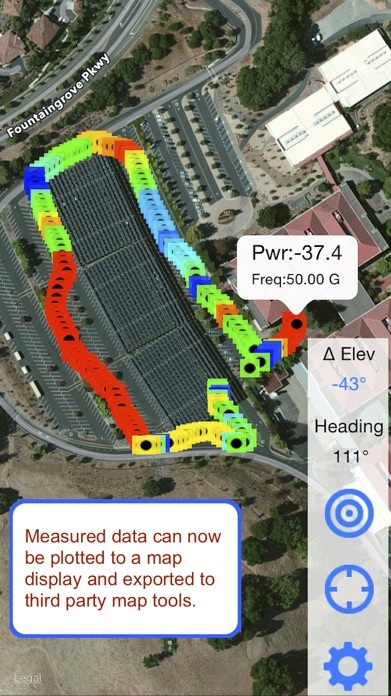 If the FieldFox has been outfitted with instrument option 030, full remote control can be performed from the iPod, iPhone or iPad (running IOS 7.1 or later). Portrait and Landscape orientations are supported with Landscape providing a full screen view of the data screen (with popup keyboard), and portrait providing a visual representation of the FieldFox display and keyboard together. Included in the app is a variety of online resources including product manuals, brochures, app notes, and training videos. Product documentation can be viewed and shared with third party apps such as iBooks, for offline storing and viewing. (Note WIFI or cellular connection required for all documentation content except the Intro Video, which is locally stored in the app). 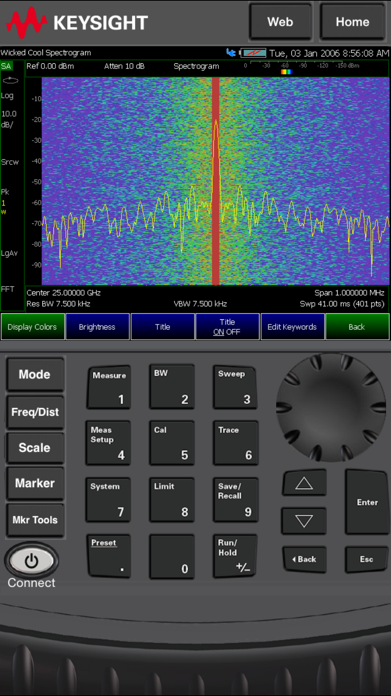 Connections to the remote FieldFox instrument can be made from anywhere the IOS device has network connections that can reach the instrument LAN connection. Note: Using cellular connectivity may produce slower connection response than WIFI, and may incur carrier data usage charges. Note: For remote viewing or remote control, a FieldFox instrument (not included) is required. 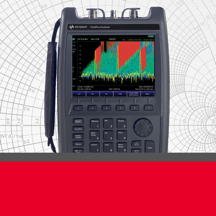 Contact Keysight via the support link for information on how to purchase a FieldFox instrument for use with this program. Note: For remote viewing only, no additional FieldFox instrument licenses are required. For full remote control, FieldFox instrument option 030 is required. Contact Keysight Technologies for full details on how to outfit a FieldFox with this option.